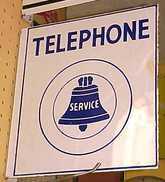 Rock Hill Telephone Company Inc., is presently renowned as Comporium Communications. They deal in local business related to cable, internet, telephone and associated home security equipments. They are a one-stop shop meeting various services of communication in the region. They mainly deal in wholesale and retail telecommunication services to commercial and residential customers throughout Lancaster and York, apart from other six countries. The company also offers telephone services (both long distance and local) including other internet and security facilities from different outlets across 16 regions. Erstwhile, Rock Hill Telephone Company also broadcast several local channels like CN2 (Cable News 2) and others. There are currently 0 consumer reviews about Rock Hill Telephone Company Inc available. Share your review. Please take a note that you are about to post a public review about Rock Hill Telephone Company Inc corporate office on CorporateOffice.com. This review will be public, so please do not post any of your personal information on this website. If you would like to contact the corporate offices of Rock Hill Telephone Company Inc, please use their contact information such as their phone number, website, and address listed above to contact them. However, sometimes staff from Rock Hill Telephone Company Inc headquarters do read the reviews on this website.